Spinach was in my list since quite sometime so I wanted to start spinach as the first thing after i came back. I picked up some seeds from Lalbagh and was all set to start. This time I wanted to try the soil mix recommended by Mel Bartholomew of Square foot gardening fame. Its called “Mel’s Mix” . I didn’t have home made compost with me so I bought a bag of compost from lalbagh. I mixed all the three thoroughly and filled the containers with them. I used the old Fruit juice containers like Tropicana. The head of the containers are cut and i use the bottom 3/4th. The spinach seeds look like this. They are large enough to handle them individually. I sowed them two per hole and two such holes per container. 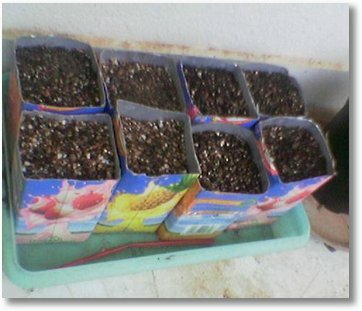 The spinach seeds were sown half inch deep and covered with fine vermiculite. It took 5-6 days for the first sprout to show up and them all of them eventually started. I plan to keep these seedlings in the same containers. I came to know that spinach resent transplant so I am not going to do that. 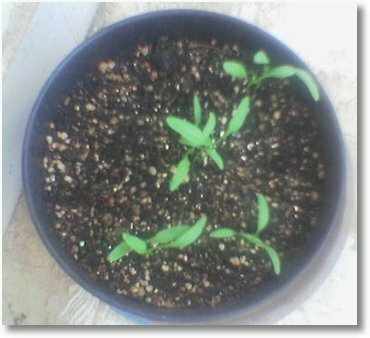 I am planning to start bell peppers and tomatoes in the coming days. Been long since have seen your post… been waiting. Hope your Spinach-es satisfy your stomach soon. Good luck! Yes its so long. How have you been? How is your garden coming along? Share if you have something interesting going with your garden..
your website has been a great source of info… i have very limited space but still trying to grow some veggies in them so far havent been successful due to several reasons… i was about to give up when i thought” let me just try this last time”… just today i came across this website and now know the reasons and places where i am going wrong… will correct them soon and start a new batch as well… looking forward to other veggies in your garden!!!! When you say spinach do you mean palak? I bought a packet of seeds from Lalbagh (fresh, dated April 2013) and planted them outdoors in a garden bed 10 days ago. I have been watering them daily but not a one has germinated. Any thoughts on what my mistake was? I have just started my kitchen last week and my okra, spinach seeds have germinated. cannot wait to see them reach 3-4 inches and then transplant to a bigger pot. I need your expert guidance on the below questions please. 1. I’ve some old paint buckets lying in my backyard . can I drill few holes at the bottom and use them for potting my plants? will that work? 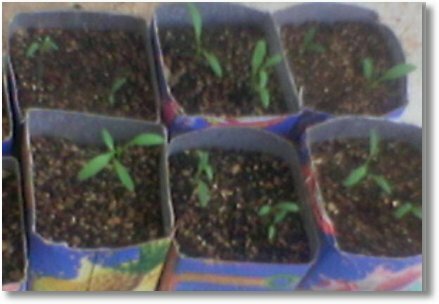 2. what is the fertilizer that I need to use for CHilli, brinjal, okra, spinach and cucumber? the frequency and what fertilizer and how much quantity? I am unsure of this since I don’t want to over fertilize the plants at the same time let the plants live malnutirtioned. I want to use only natural and organic manures and not artificial chemicals for my veggies. I’ve in Chennai . Please help.